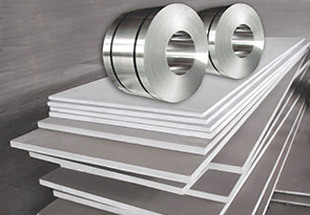 We manufacture & Export wide range of steel Sheets,Plates & Coils for quality end results. 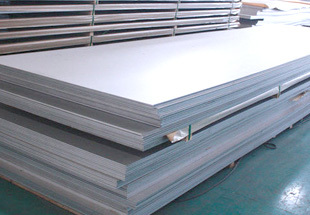 We are Exporter and Supplier of Alloy Steel Plates, Sheets & Coils. Alloy Steel Shim Sheet, Perforated Sheet Manufacturer in India. Widely used in sophisticated engineering industries, these plates are highly sturdy and possess easy machinability traits. The fabrication of these products is done with high-end machines and premium-grade iron at vendors' end. Apart from this, we make the timely supply of these plates to our customers at nominal price tags. Premeditated from superior grade of steels, these Alloy Steel Sheets,Plates & Coils are provided to our valuable customers in customized and standard specifications. 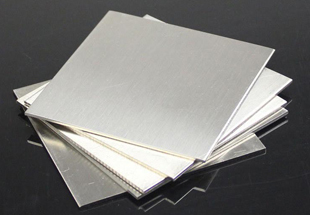 Our Alloy Steel Plates are significantly harder and stronger with respect to other grades. Also, our Alloy Steel Coils is virtually irreplaceable in resisting oxidation at elevated temperatures. It also raises the tensile, yield, and hardness at room temperatures. 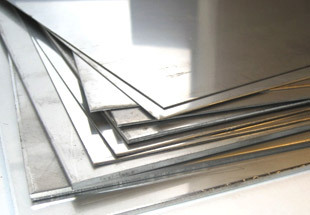 Alloy Steel Sheets, Plates and Coils are used in some typical applications such as in Chemical and allied industries, Food and dye production, Heat exchangers, SO 2 scrubbers and other severe environments, Tanks, Pickling racks, Valves, and so on. We can make these available of imported and Indian manufacturers in dissimilar finish forms, which include round, coil, square, U shape. Our expertise as well lies in offering these in drawing and growth as per essential in terms of length & size. 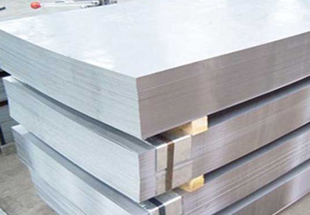 Alloy Steel Sheets Exporter, ASTM A204 High Strength Low Alloy Steel Plates Manufacturer & Supplier in India. UK, Mexico, Jordan, Houston, Israel, Africa, UAE, Sri Lanka, Australia, Germany, Ghana, Kuwait, Indonesia, Mozambique, Vietnam, Malaysia, Saudi Arabia, Iraq, South Africa, Angola, Dubai, Argentina, United States, Democratic Republic of the Congo, Peru, Brazil, Morocco, Nigeria, Colombia, Azerbaijan, Chine, London, Russia, Iran, Tunisia, Venezuela, Egypt, Algeria, Turkey, Trinidad and Tobago, Bahrain, Kazakhstan, Cameroon, Uganda, Canada, New Zealand, Sudan, Ethiopa, Thailand (Bangkok), Italy. Mecca, Lubumbashi, Amman, Benin, Dakar, Cairo, Bethlehem, Dammam, Colombo, Tripoli, Beirut, Luanda, Abu Dhabi, Kaduna, Tel Aviv, Jeddah, Aqaba, Pretoria, Durban, Giza, Jerusalem, Yaoundé, Zaria, Harare, Antananarivo, Tehran, Cairo, Nairobi, Conakry, Subra al-Haymah, Dar es Salaam, Brazzaville, Johannesburg, Addis Ababa, Omdurman, Bulawayo, Bamako, Port Elizabeth, Muscat, Dubai, Khartoum, Abidjan, Kinshasa, Mbuji-Mayi, Doha, Sharm el-Sheikh, Byblos, Kano, Data from the UN, Maiduguri, Kampala, Casablanca, Maputo, Rabat, Ouagadougou, Riyadh, Lusaka, New York, Lagos, Kolwezi, Algiers, Cape Town, Douala, Mogadishu, Freetown, Manama, Soweto, Hong Kong, Alexandria, Fez, Ibadan, Istanbul, Accra, Port Harcourt, Singapore.